Bold and Unique portrait of your equally stunning motorcycle. Includes a 20″ x 30″ archival print ready for framing. 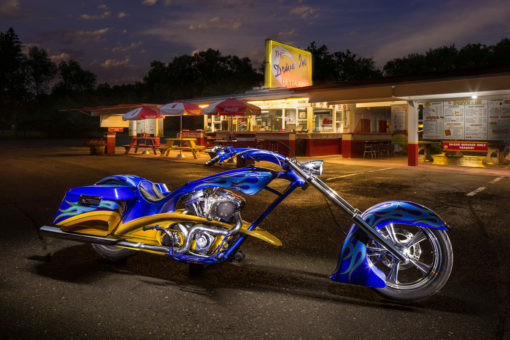 Using the method of Light Painting, Alec Johnson will produce a stunning, unique, and artistic photograph of your motorcycle. The outdoor photo takes approximately 3 hrs to photograph and another 5-6 to finish for printing. The result is a photograph that has the feel of a painting. Why? Because Alec uses a flashlight to control the direction, intensity and quality of light falling on your motorcycle, using these attributes the way a painter does on canvas. 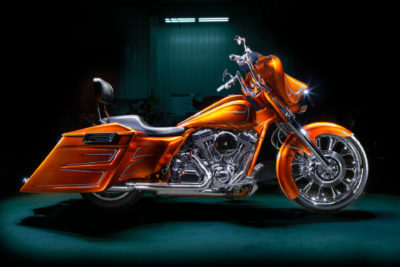 The result of a work of art of your work of art – your motorcycle. Check out the gallery of light painting images Click here.